Any chef will tell you that the secret to great food is great sauces and great seasonings. 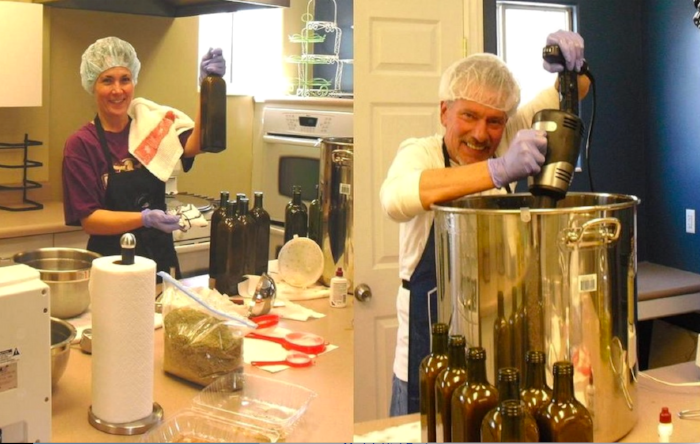 With that in mind, Mary Sandino and Dave Udy have been making Grandma Sandino’s sauce and seasonings here in Utah for over thirty years. Most well known is Grandma Sandino’s Sicilian Sauce, which is based on a “house” vinaigrette that Dave loved when he ate at a Baltimore restaurant back in 1986 - “the best Italian restaurant that I had ever eaten at,” he says. He wound up bring a bottle of that vinaigrette home and went to work trying to create his own version of it - testing, testing, testing and experimenting until he finally mastered the formula. In addition to their wildly popular Sicilian Sauce, Grandma Sandino’s also sells Garlic Bread Mix, Grandma’s Rub (for pork and poultry), Gourmet Herbal Dip & Spread Mix, and Grandma’s Fish Sprinkle. All of these products can be found at GrandamaSandinos.com, and in many local stores and markets, as well as at the Downtown Farmers Market and the Park Silly Sunday Market. They are also working on getting Grandma Sandino’s products into CostCo and Sam’s Club stores.